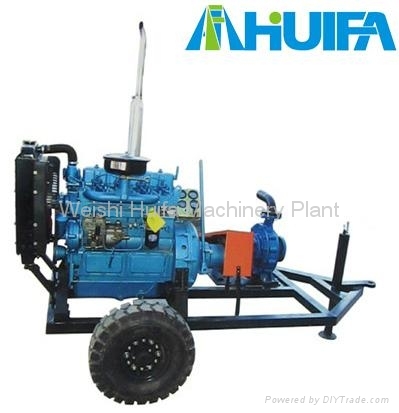 To adopt the hose reel irrigation machine works well, our company specially developed series of water pump trailer, this system with compact structure, high efficiency of water pump, easy moving. Water pump flow rate and head can meet the working pressure and requested water flow. 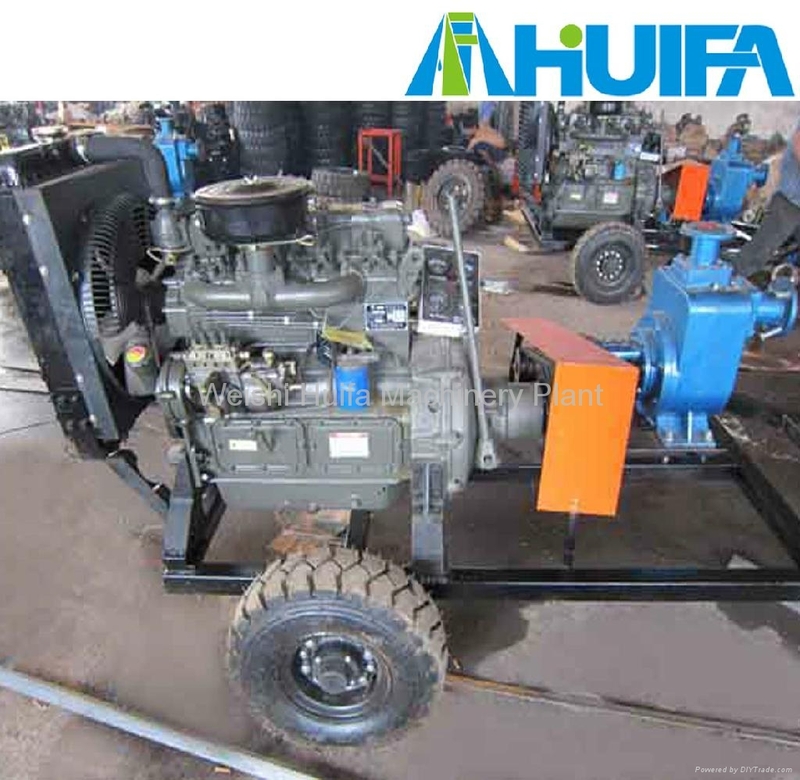 The driving force can use motor or diesel engine.